Street skating and aggressive skating is all about destruction and creation. You go as hard as possible with the intent on doing something simply awesome. With the Rollerblade NJ5 Aggressive Skates, you'll have the ability to ride the rails, grind and charge like nothing else. Because aggressive skaters ride hard, the New Jack 5s are outfitted with removable components that can easily be replaced if you have a long summer of skating. Everything from the buckles to the grind inserts to the straps are all replaceable. 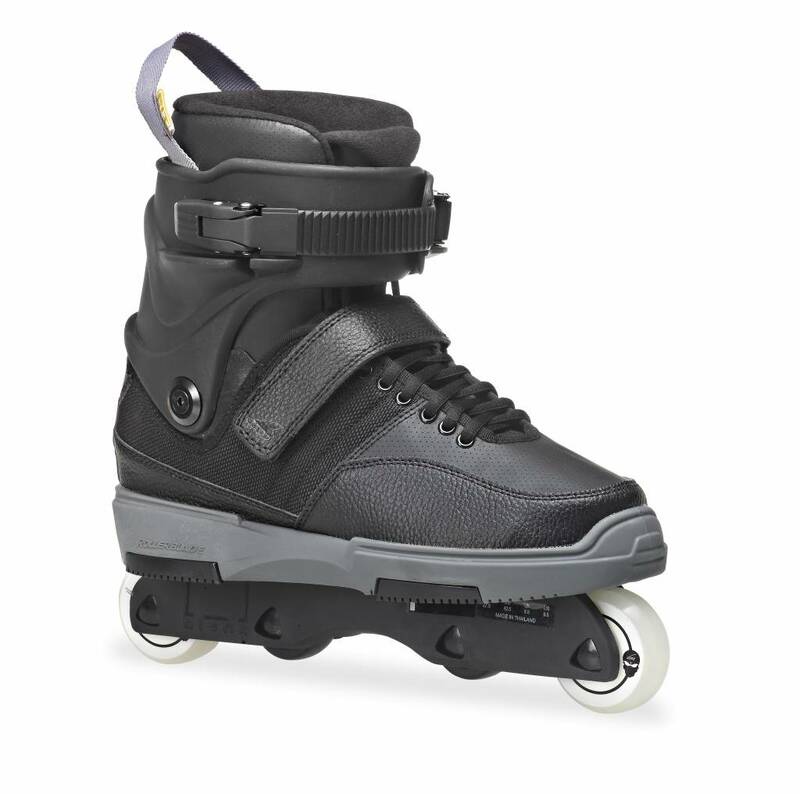 The upper, like the whole skate itself, is extremely durable but also is comfortable because it's safe to say that you'll be in the park and on the street attempting to wear these babies down. The PU Foam Shock Absorber and Double Padded Tongue on the New Jack 5 provides dampening on those mean landings and all the comfort you could ask for in an aggressive skate. You'll have 60mm wheels in the front and the back to help gain a little speed and 42mm center wheels to make any rail accessible. Up your game and ride like you own the park in a pair of Rollerblade NJ5 Aggressive Skates.